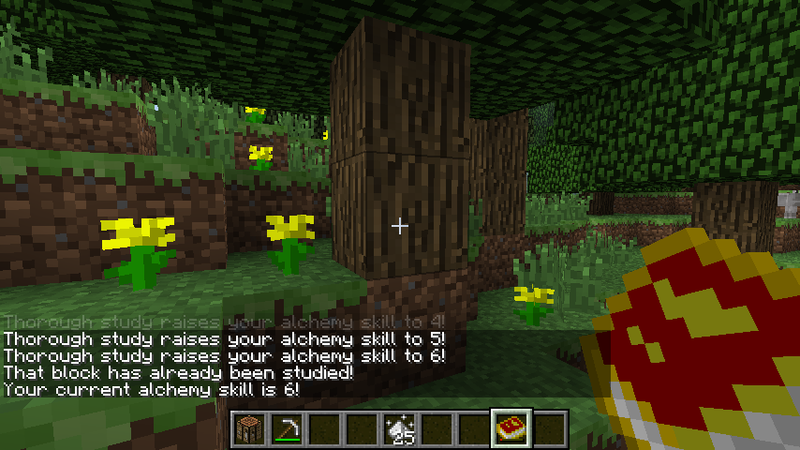 The AlcheMine Mod introduces a different approach to alchemy. Who says you need all those big fancy machines and special super rare items to accomplish big feats of magic? Not here! 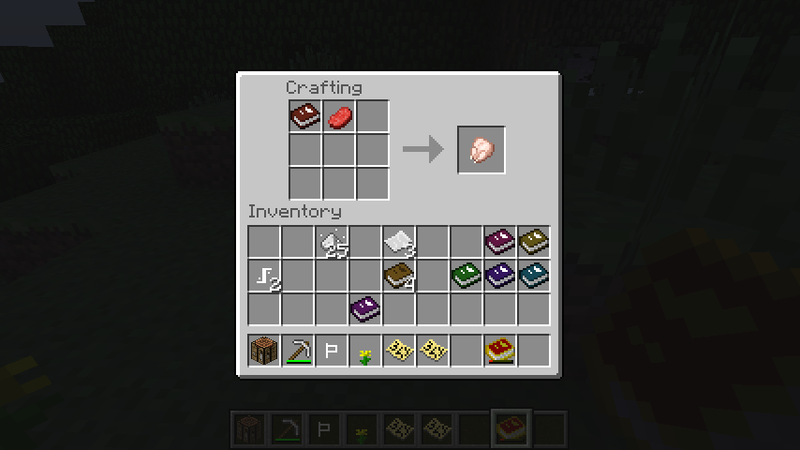 All you need is a crafting bench, the right items and a little speck of magic… specifically found right here! Nobody ever acccomplished great feats of magic without getting a little bit dirty. 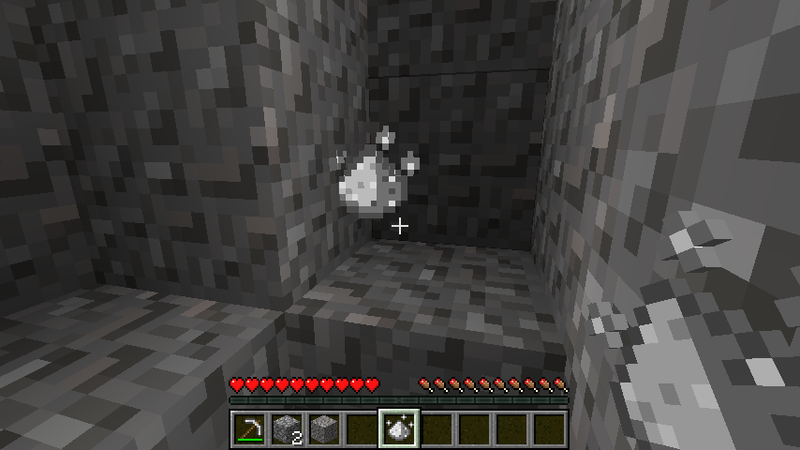 As you dig through the earth for resources, you’re likely to come across a strange vein of white ore. This is Hermetic Ore, and you’ll need an iron pick to dig out the ash it contains. Hermetic Ash is a speck of materialized magic, trapped in stone long ago. 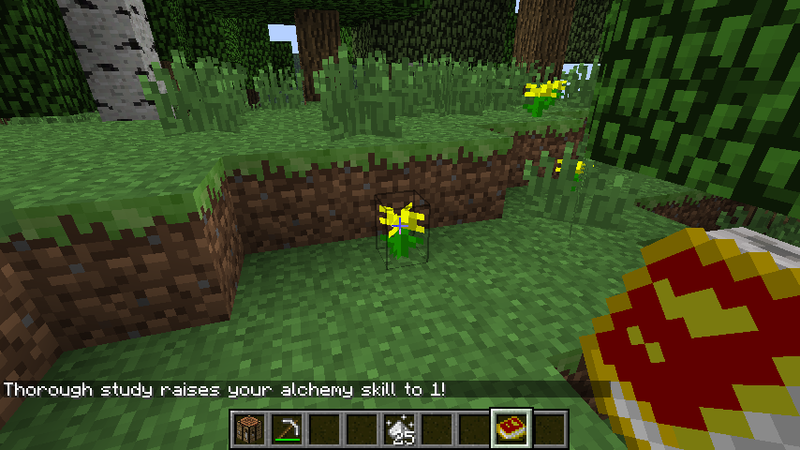 It’s not hard to find, but you’ll need plenty to get started with alchemy. Hermetic Ash on it’s own is potent, but directionless and unstable. To give it shape, we’ll need a crafting bench, so head back home once you have enough ash to start making runes. By laying out the ash in specific patterns (see below), you can give it form and use. There are currently 8 known runic symbols you can make, and you’ll need several of each to start making some magic. Once you have some runes made up, two unique ways to practice become available to you. The Art of Inscription is the more restrictive, but more easily accessed method of practicing magic. With some runes on hand, you can now combine them into pairs (along with some paper) and produce a collection of magic spells. At first, you won’t know what these scrolls do, but after using them, their names (and effects) will become apparent. 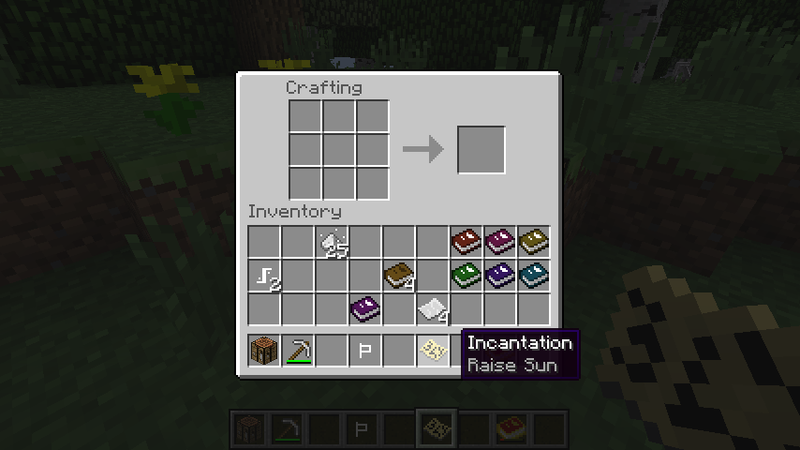 Some scrolls allow you to manipulate the cycles of the sun and moon. 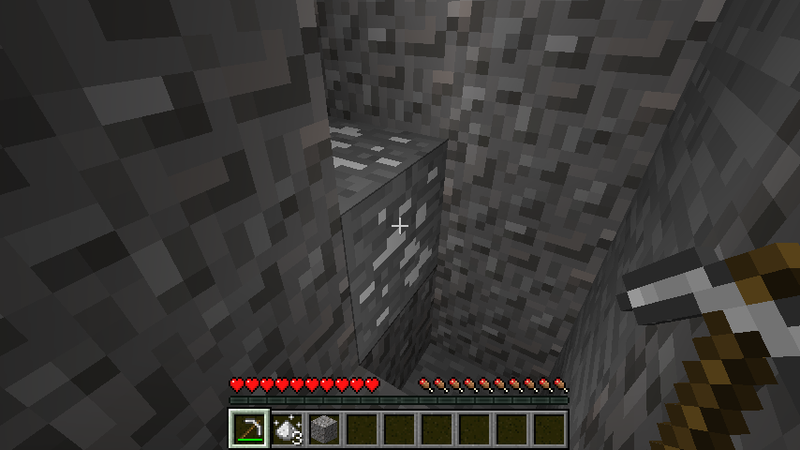 Others will let you reveal hidden ores in seemingly common stone. Others still will grant you a variety of brief, potent effects. How many can you discover? Keep in mind, not everything you conjure up will be sunshine and unicorns. Some scrolls can cause rather… unhealthy side effects, and if mis-used, could lead to disaster. Take care when casting such unpredictable magic. As a student of Alchemical Arts, it would benefit you to do a little studying before you go trying to turn things into gold. You’ll need a book and one of each kind of rune to make yourself a special book: the Alchemist’s Notebook. This book catalogs all the notes you’ve taken about the world around you, and acts as your way of determining just how competent you are with alchemy. Once you have the Notebook, you’ll notice it’s rather… empty, at first. Naturally; you didn’t expect a fully detailed book of alchemical theories to just appear out of thin air, did you? Nope, you’ll have to actually step outside your home and do some studying. Take your book and use it on the nearest block to take notes on it. You’ll see it begin to fill with the notes you’ve collected on that block. Take heed that once you’ve taken note of a block, you’ll have exhausted what you can learn from it, and will have to go searching for new blocks to study. Of course, this also applies to things that aren’t necessarily blocks as well: torches, signs, tracks, fences, trees, plants, ores, anything you can find can be noted. As your understanding of the world around you improves, your skill with alchemy will follow suit, and eventually, you’ll unlock new ways to change the items you possess into something entirely different. At first, what you can accomplish will be trivial and small, but as you study, you’ll be able to perform conversions you couldn’t before. 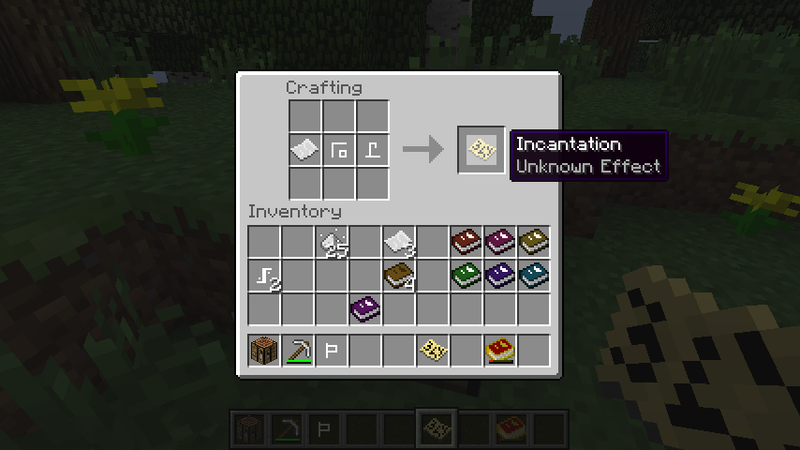 By combining a book with certain runes, you’ll be able to create tomes, which permit a variety of magical effects with the items you possess. Each Tome offers different changes when used in the crafting space, and as you progress in your alchemical studies, your capacity to alter items will expand. This tome will allow it’s user to perform a variety of conversions with many objects. Initially, what you can re-shape will be simple, but thorough study will allow you to bend more advanced and rare matter as you improve. Using this tome will allow you to restore items to a certain level of durability, directly proportionate to how advanced your knowledge of alchemy is. Of course, it could also weaken stronger tools, so take care in using it at lower levels. This tome allows the user to promote lush growth and richness in a variety of objects. It will also let you enrich the ores you find while mining, allowing you to increase their value. A very potent tome for those who favor mining. 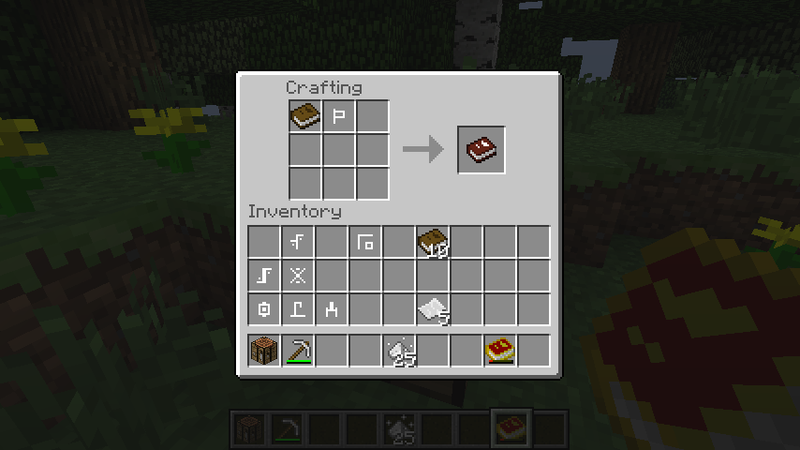 Using this tome with any block that has ores available in it will allow you to extract twice as many resources from it. Depending on your level of achemical knowledge and the item being transmuted, this tome will give you the ability to improve base materials to new and better states. Note that when using this with armor and tools, the object will need to be at it’s peak durability to improve it. A very powerful branch of magic, this tome is reserved for only the most skilled of alchemists, those who have taken the most thorough and complete notes on the material world, but the effort is well worth the reward. Placing this tome with any other item will allow you to defy alchemy law and double what you offer, effectively creating something from nothing. Transmutation Guide: If you’re having trouble determining when you’ll be able to perform magic with certain items, the guide bellow offers a comprehensive list of available transmutations, as well as what level they become unlocked. It’s advised you try figuring them out for yourself first, but should you need help, this list should be a helpful reference. 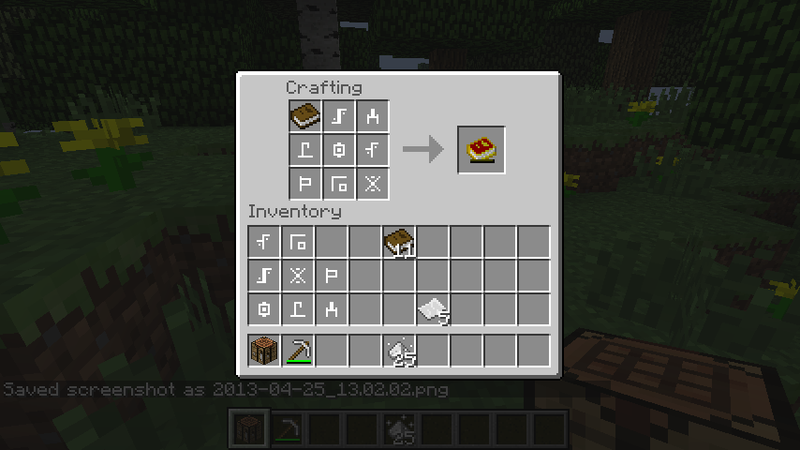 Put AlcheMine Mod zip file into your /.minecraft/mods folder. Do not unzip it.